There is no better holiday gift than this elegant three-tiered natural boxed gift tower filled with the best of California. Featuring excellent Cabernet and Chardonnay selections from Regalo Valley. 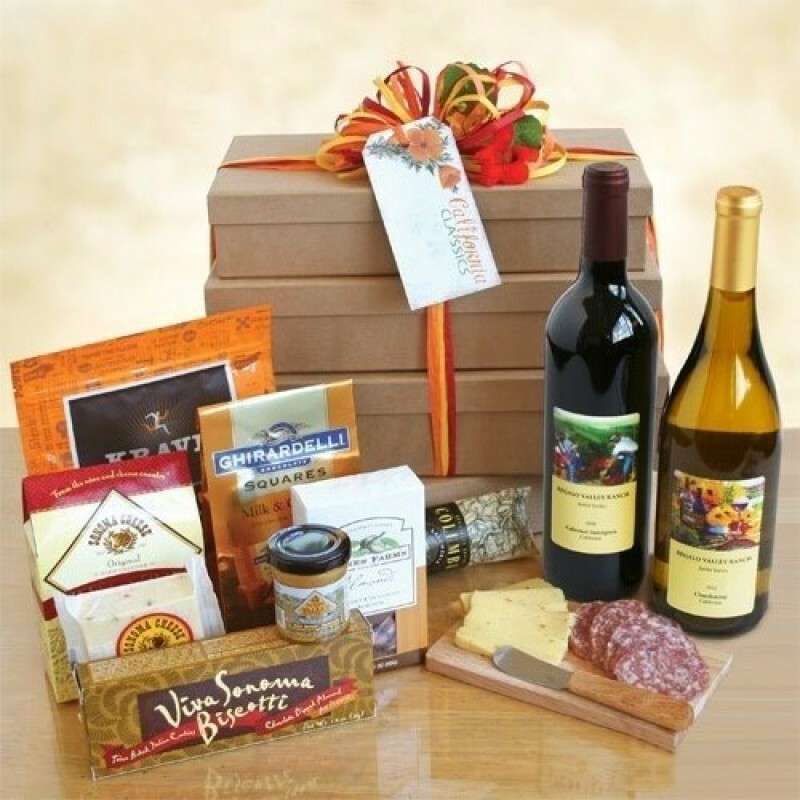 Enjoy these excellent wines with salami, Sonoma Jack cheese, Napa Valley mustard, Nunes Farms nuts, Sonoma cheese straws, Krave jerky, biscotti and sweet Ghirardelli milk and caramel chocolate squares.